View The Obituary For Margie Yvonne Tutt. 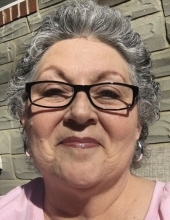 Please join us in Loving, Sharing and Memorializing Margie Yvonne Tutt on this permanent online memorial presented by Lambert-Tatman Funeral Home. DEBORAH L. SOWARDS, 65, of Chesapeake, Ohio, wife of Bobby Sowards, died March 30 at Hospice House. She was a retired registered nurse…. JOHN H. CALDWELL, 82, of Kenova, husband of Irene Caldwell, died March 30 at Cabell Huntington Hospital. He was retired from Pilgrim Glass…. 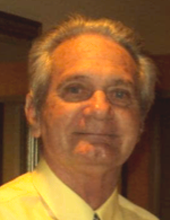 Paul Donald “Duck” Morris, 76 of Wellsburg, WV died peacefully on Sunday, March 31, 2019 at Weirton Medical Center. He was born on Sept. 29, 1942 in Wellsburg, WV a son of the late Paul O. and Frances (Yost) Morris. Ann G. Butera, 96, died Saturday in Rayland, OH. Friends received Wednesday 1-4 p.m., at Borkoski Funeral Home in Tiltonsville, where service will be held Thursday at 11 a.m.
Helen Olinski, 94, of St. Clairsville, died March 31. Visitation at Toothman Funeral Home, St. Clairsville, Tuesday 2-4 & 6-8 p.m. Funeral Mass at Sacred Heart Church in Neffs Wednesday at 11 a.m.